I think I mentioned that daughter no. 4, her daughter, Anah, and I had sent off DNA samples for testing. We used ancestry.com because I have an established tree there which allows me to find far away cousins. Since the results came in my time has been consumed by research and making connections. What fun! I, love it! Erin's results were as we expected: Britain, Wales, Ireland, England and some Northeastern European which probably enters on her father's side as comhis people came to the USA from Germany. Anah's genes could be a mirror image of the African Diaspora. Many different regions showed up, most on Africa's "Gold" and "Ivory" Coastsm the hotbed of the slave trade. It would appear that maybe her father was correct in saying that his ancestors came from Trinidad/Tobago; as Anah has a 1% Andean Native American showing up. And Trinidad/Tobago lies off the coast of South America. Who knows? We can't know, but we can have fun thinking about it. I was able to substantiate her direct paternal line yesterday, but only back to 1872. A couple of grandfathers back the family was living in Mississippi, most likely as slaves. I was surprised and I have to say delighted my DNA registered a wee 1% from the Cameroon, Congo and Southern Bantu peoples. My mother, bred and born in the South is rolling over in her grave at that. I am enjoying it immensely. Thought I'd find Native American, but African instead. Also, did not expect to see Norway and want to see if I can follow that twig back and find some more info. A Viking heritage, how interesting. 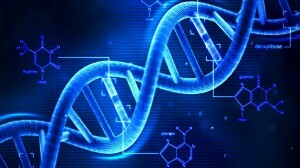 Most of my online time is currently spent obsessively researching DNA circles, and learning how DNA passes down to us. The process is seriously interesting and challenging to understand. I am grateful that Fall is coming. Didn't get the pop up, darn.